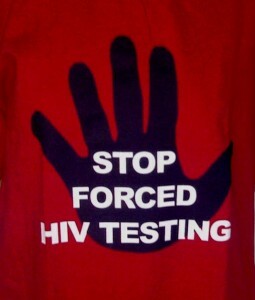 On 10 March 2011, eleven women from Mwanza, Malawi, filed an application in the Blantyre High Court challenging their subjection to mandatory HIV tests, the admission of the HIV test results as evidence in criminal cases against them, and the public disclosure of their HIV status in open court. The women argue that these actions by government officials violated their constitutional rights. On 25 February 2014, Justice Dorothy Kamanga heard submissions on the substantive issues in this case in the Blantyre High Court. On 20 May 2015, Justice Kamanga ruled that mandatory HIV testing violated the applicants’ rights to privacy, dignity, equality and freedom from cruel, inhuman and degrading treatment. The applicants will now file a separate claim for damages against the State. The Applicants’ legal representative in this matter is Chrispine Sibande, with support from the Southern Africa Litigation Centre (SALC). For more information, refer to the fact sheet on the case.